Integrate Dashpivot with your other systems and softwares to create even more efficient processes for your company - so your critical data moves freely and reliably. Get even more out of Dashpivot by integrating it with the tools and systems you already use. We have made our API as simple as possible to use, so that you can plug Dashpivot into your other tools and systems. We continue to work on making your lives easier by making your systems smarter. If you have a question about a specific integration or what's possible, please message us using the chat widget in the bottom right hand corder or call us on 1800 828 110. 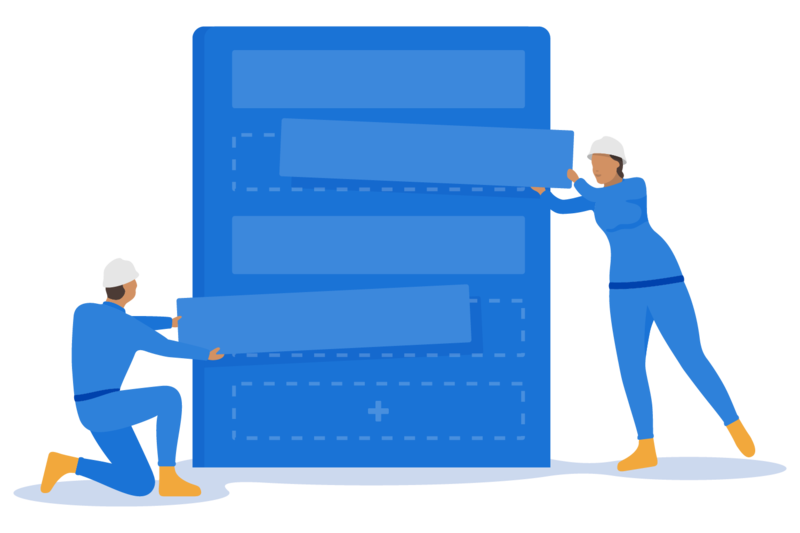 Here you’ll find comprehensive information and documentation to guide you through the process of building integrations with Dashpivot software. We’ve done our best to make it simple and easy to use our API. Dashpivot Connect provides the underlying platform architecture and open Application Programming Interface (API) used to develop applications and custom integrations between Dashpivot and other software tools and technologies. With Dashpivot Connect you can expand the functionality of your Dashpivot account by leveraging existing functionalities, or by developing new applications and customised connections yourself using the Dashpivot Connect API. If you intend to build your own applications (or hire someone to build them for you), the Dashpivot Connect API allows you to leverage Dashpivot resources in a simple, programmatic way using conventional HTTP requests in a RESTful architecture. The Dashpivot Connect API endpoints are intuitive and powerful, enabling you to easily make calls to retrieve information or execute actions on the various resources in Dashpivot. Integrate your existing best-in-class applications with Dashpivot to increase productivity, maximise the ROI of existing solutions, and extract valuable insights. In order to provide a superior solution for all aspects of construction management, Dashpivot Connect gives customers an integration toolkit and access to our public API to build custom integrations between Dashpivot and other technologies used within the customer’s organisations. We do understand you may want to extend Dashpivot by building a custom integration. With the Dashpivot Connect API, you are able to build custom integrations and tools for your team that will allow you maximise the value of Dashpivot for your business by increasing efficiency, cutting down on duplicate data entry, keeping your employees in their preferred software tool and more. Clicking the Reference tab takes you to a comprehensive set of reference pages that cover all the available Dashpivot Connect API resources and endpoints. Each reference page describes a particular API call and it’s associated syntax rules. You’ll refer back to these pages regularly while you build out your integration. The material in the Reference section is conveniently searchable and easy to navigate. Representational state transfer (REST) is a common architectural style used for web development. Systems and sites designed using this style aim for fast performance, reliability and the ability to scale easily. The primary abstraction of information in a REST architecture is a resource. Any information that can be named can be a resource – a document or image, a service, a collection of other resources, and so on. Resources comprise data and functionality and are accessed using Uniform Resource Identifiers (URIs). Resources are acted upon by using a set of standard, well-defined operations. Clients and servers exchange representations of resources by using a standardized interface and protocol – typically HTTP. To learn more about HTTP verbs as RESTful methods, see HTTP Methods for RESTful Services. By default, all API requests expect input in application/json format where each request is allowed to contain parameters and other discretionary data types. All JSON requests must specify the object types that the payload is carrying. The format type, query parameters, and any other required fields are contained within the sample body request for each object as depicted in the following example. All API call responses return the requested information in JSON format. Responses in XML format are currently not supported. The following example shows the response from the request shown here. First you need to request a valid JWT token from the authentication endpoint (POST https://api.constructioncloud.io/v1/users/login/jwt) by providing a valid email address and password in JSON format in the POST payload. On successful authentication, the endpoint returns a JWT token in JSON format. This JWT token should be used as authentication key to access all other endpoints. Response: JSON array containing each app within the team. Figure below: example JSON object of an app without the app’s items. Response: JSON array containing each form within the app. Figure below: example JSON object of a form without the form’s items. AWS Service Organization Control (SOC) Reports are independent third-party examination reports that demonstrate how AWS achieves key compliance controls and objectives. To provide customers and users with a business need with an independent assessment of AWS’ control environment relevant to system security. ISO 27001 is a security management standard that specifies security management best practices and comprehensive security controls following the ISO 27002 best practice guidance. Questions or concerns? Book some time on the Sitemate calendar.